Joseph E., Bindschedler S., Albini M., Comensoli L., Kooli W., Mathys L. (2017). Microorganisms for safeguarding built heritage. The Fungal Community: Its Organization and Role in the Ecosystem. (Eds). J. Dighton, J. White, P. Oudemans CRC press Taylor and Francis group. Comensoli, L., Maillard, J., Albini, M., Sandoz, F., Junier, P. and Joseph, E. (2017). Use of Bacteria To Stabilize Archaeological Iron. 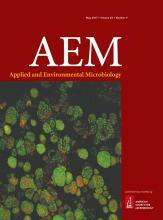 Applied and Environmental Microbiology 83(9). Comensoli, L., Bindschedler, S., Junier, P. and Joseph, E. (2017). Iron and Fungal Physiology: A Review of Biotechnological Opportunities. Adv Appl Microbiol 98: 31-60. Albini, M., Comensoli, L., Brambilla, L., Domon Beuret, E., Kooli, W., Mathys, L., Letardi, P. and Joseph, E. (2016). Innovative biological approaches for metal conservation. Materials and Corrosion 67(2): 200-206. Joseph E., Letardi P., Albini M., Comensoli L., Kooli W., Mathys L., Domon B. E., Brambilla L., Cevey C., Bertholon R., Job D., Junier P. (2014). Innovative biological approaches for metal conservation. Conference Proceedings of EUROCORR 2014, European Corrosion Congress. Pisa, Italy. 8th-12th Sep-tember. DECHEMA e.V., Frankfurt and AIM – Associazione Italiana di Metallurgia, Milano, 2014; ISBN 9783897461598, 1-10. Joseph E., Letardi P., Comensoli L., Simon A., Junier P., Job D. & M. Woerle. (2013). Assessment of a biological approach for the protection of copper alloys artefacts. Conference Proceedings of Metal 2013, Interim Meeting of the ICOM-CC Metal WG. Edinburgh, Scotland. 16th-20th September 2013. 203-207.